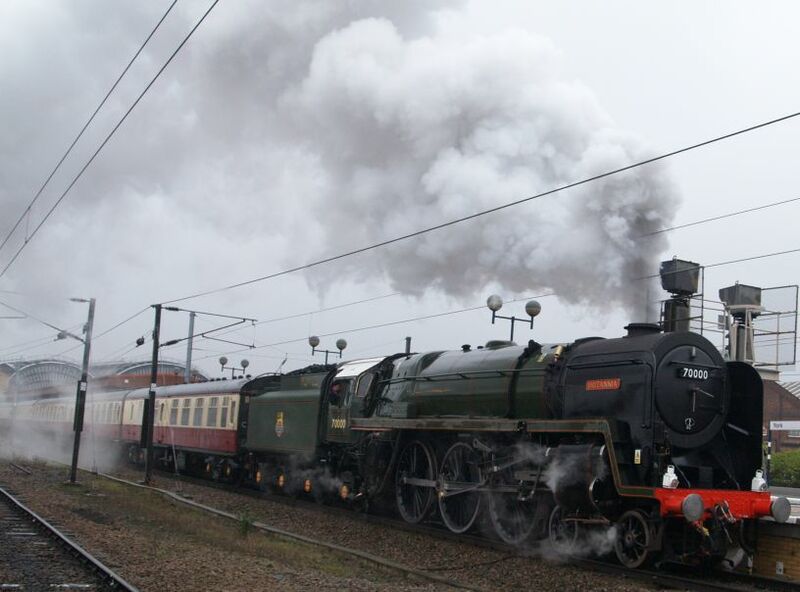 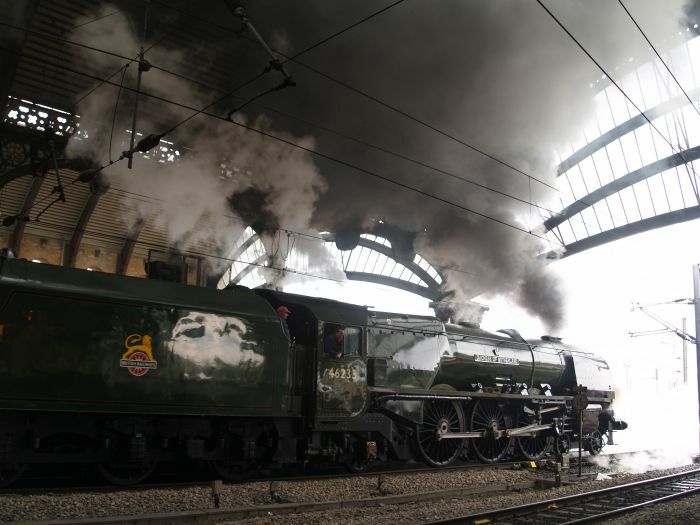 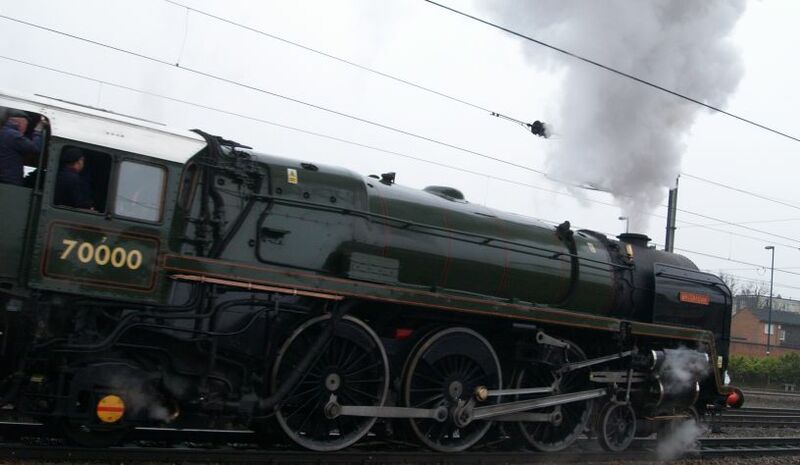 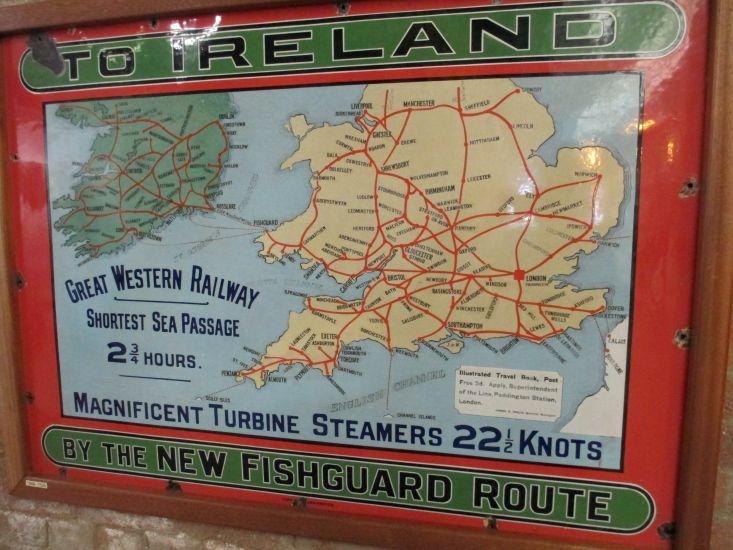 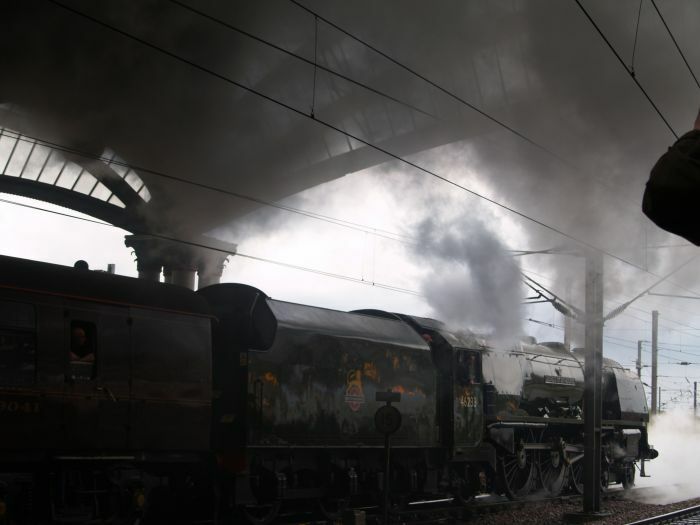 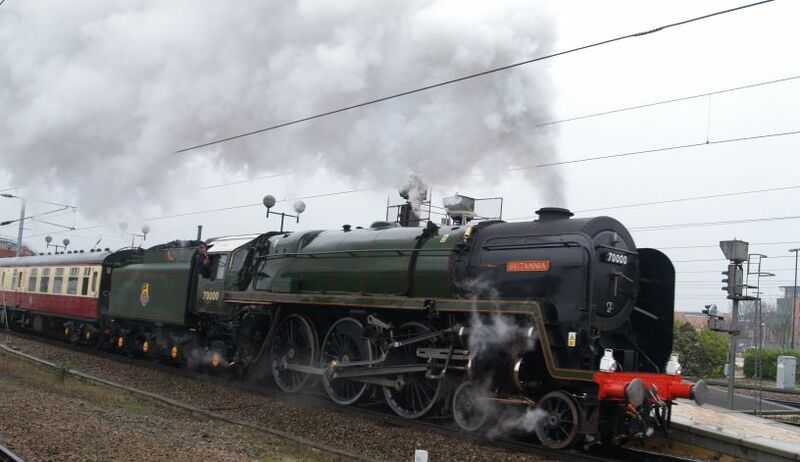 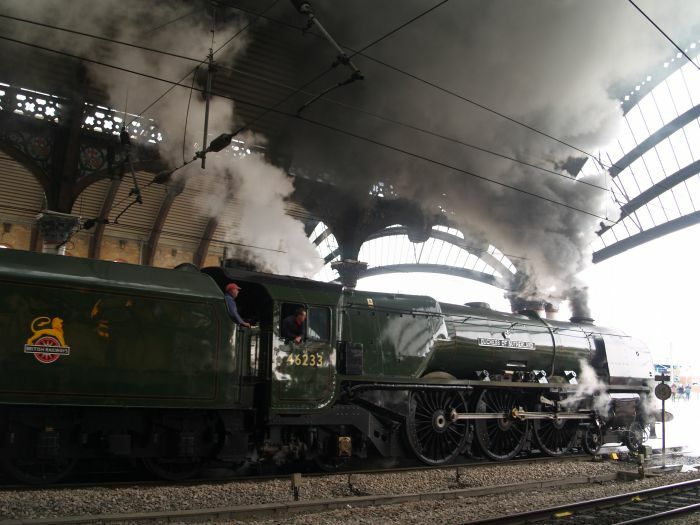 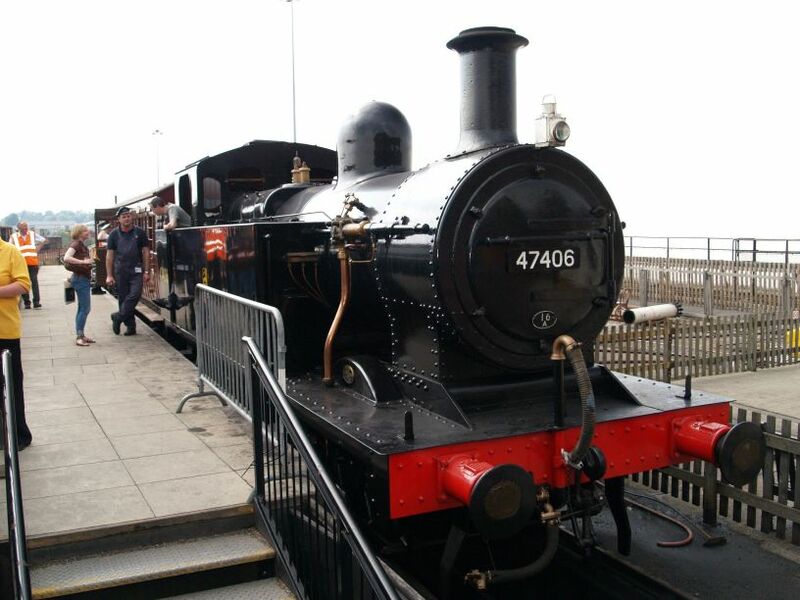 A magnificent steam train sight! 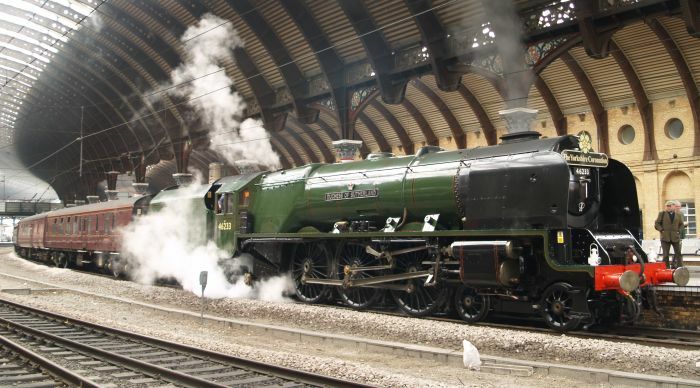 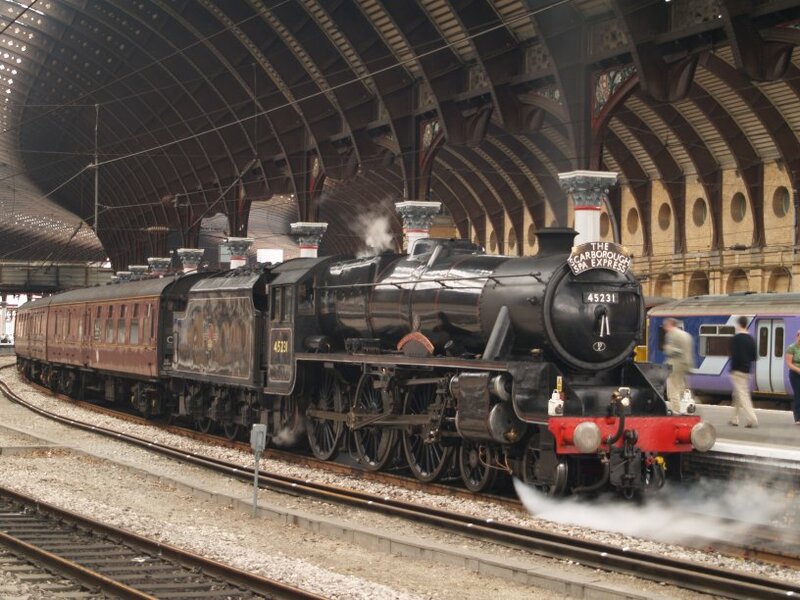 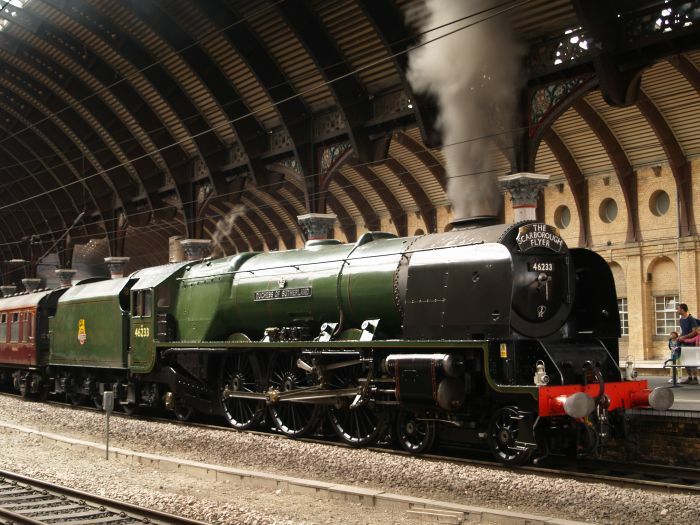 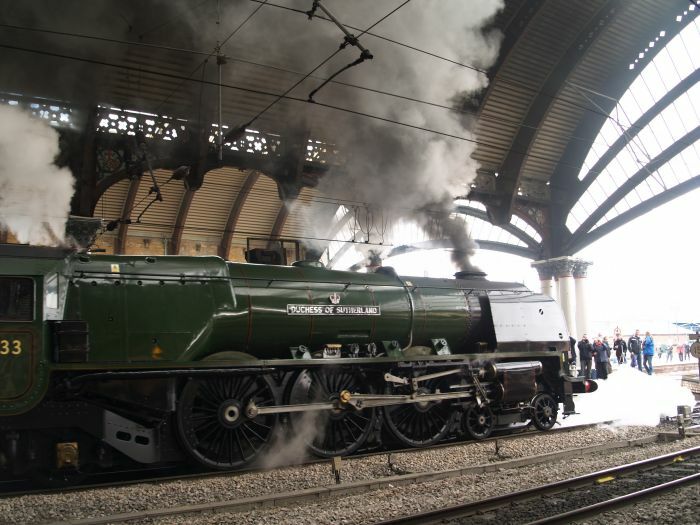 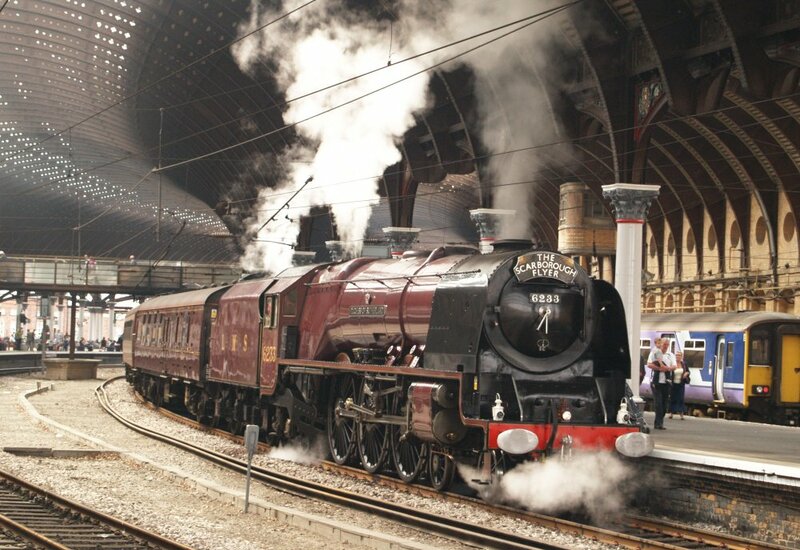 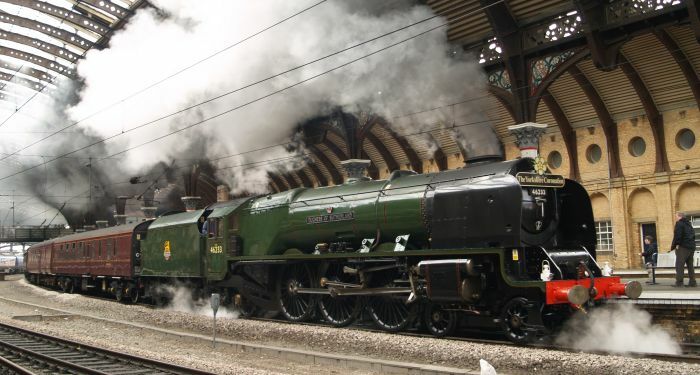 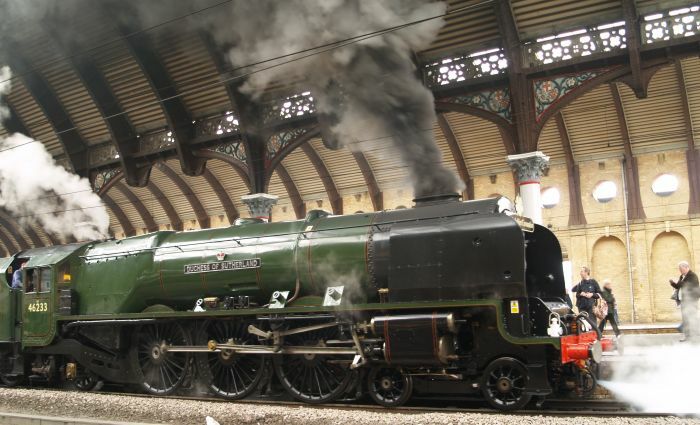 6233 DUCHESS OF SUTHERLAND arriving in York Station with the Crewe-Scarborough charter train known as 'THE SCARBOROUGH FLYER' steam excursion. 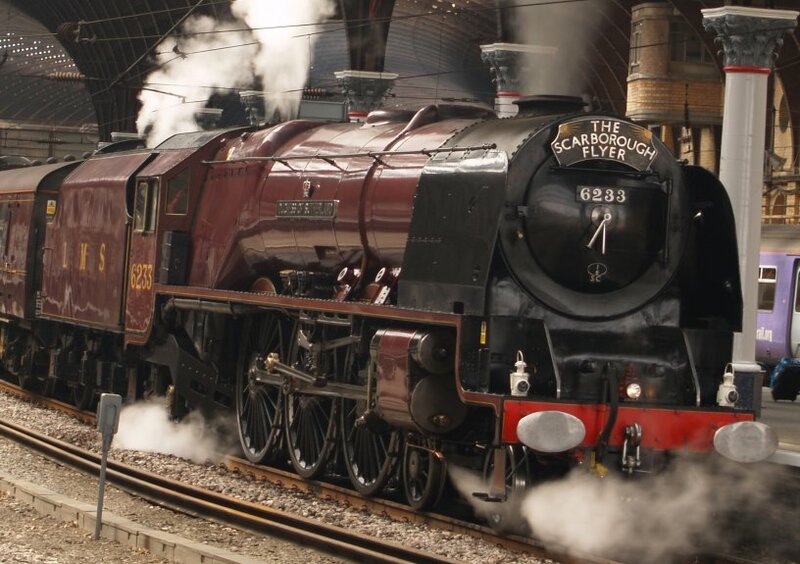 Ex LMS 6233, never streamlined like LMS 4-6-2 Pacific 6229 BR 46229 DUCHESS OF HAMILTON and she is ex British Railways BR number 46233. 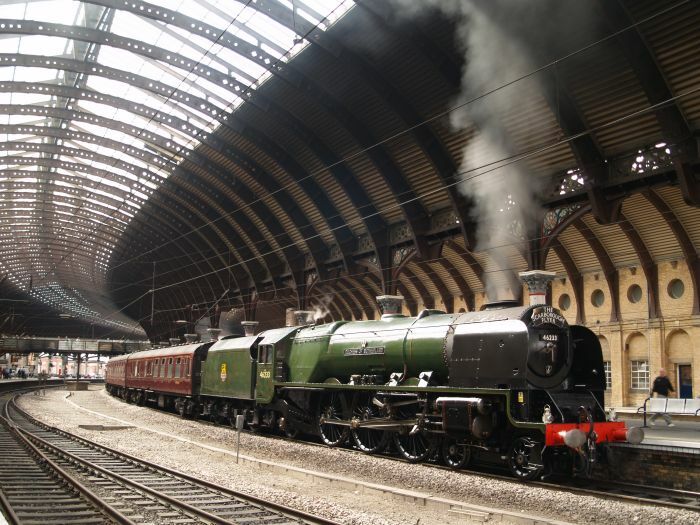 Before an 'adoring worshiping' fan, 6233 heads north-east out of York Station over the Ouse bridge and onto the mainly single-track York Scarborough railway line. 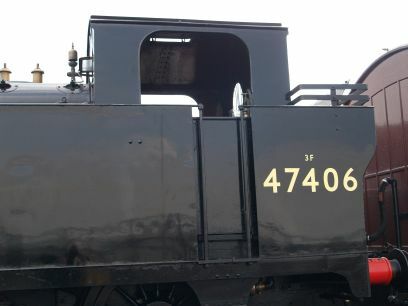 Ex British Railways BR number 45231 THE SHERWOOD FORESTER waiting to leave for Scarborough with THE SCARBOROUGH SPA EXPRESS. 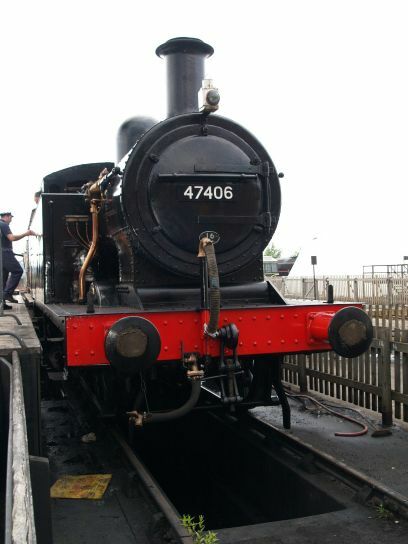 45231 is Ex LMS locomotive 5231 built in 1936 is one of the famous workhorses known as the "Black Fives' to a 4-6-0 design of Sir William A Stanier. 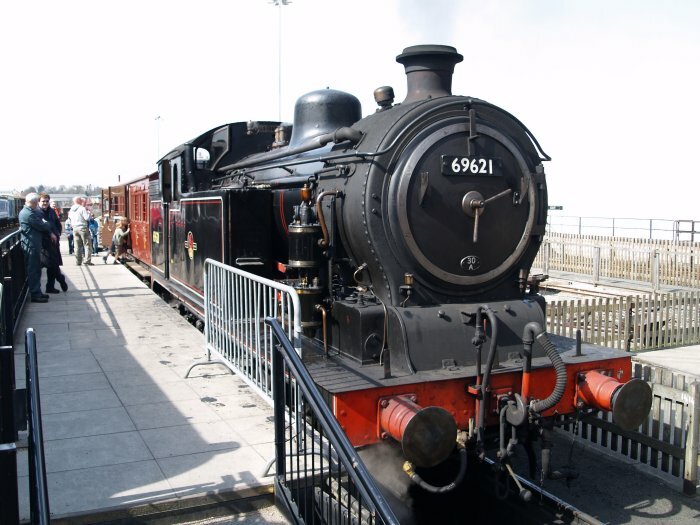 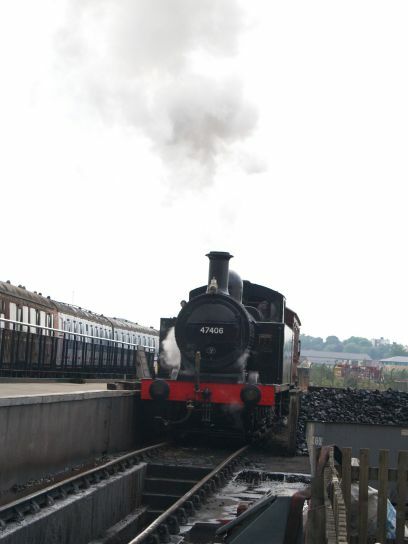 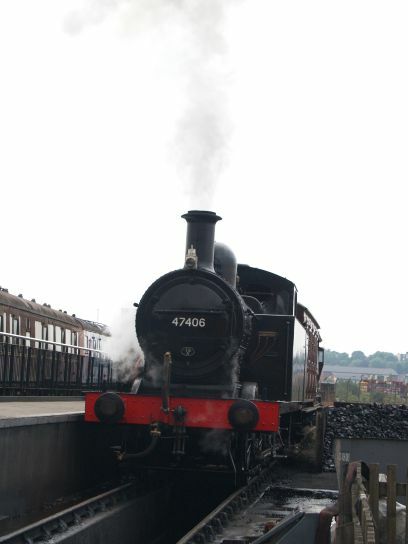 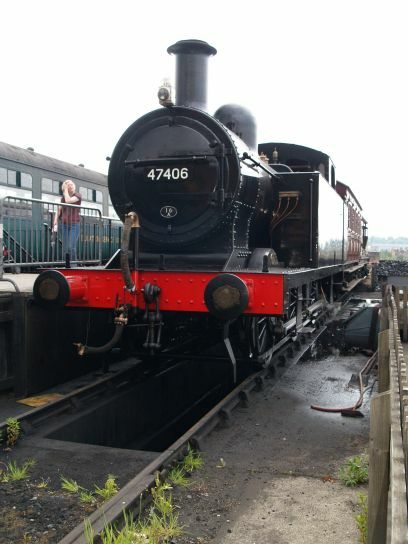 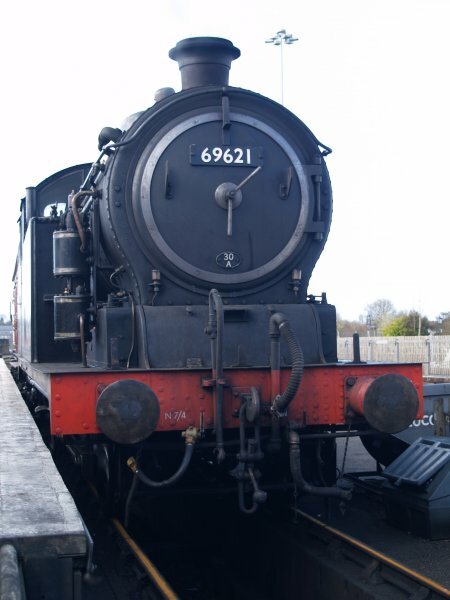 69621 was employed in 2010 for hauling short live steam trips for adults and children alike at York Railway Museum and proved a big success with tourists. 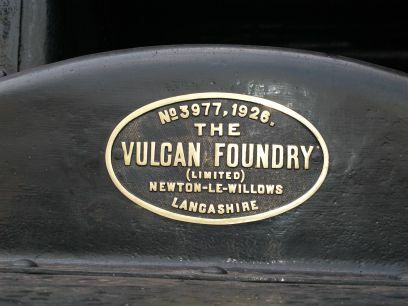 Ex BR 3F 'Jinty' 47406 (LMS/Midland Railway 16489 & 7406) is an 0-6-0 tank engine built at the Vulcan Foundry in 1926.